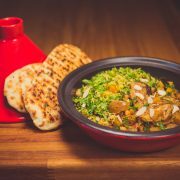 View basket “Home made Chef James Flatbreads” has been added to your basket. 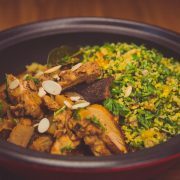 Chicken Taigine with Apricot and Almond Cous Cous.! 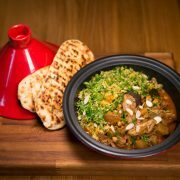 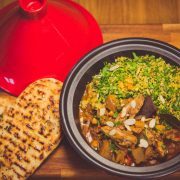 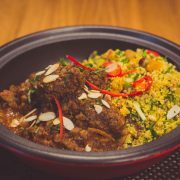 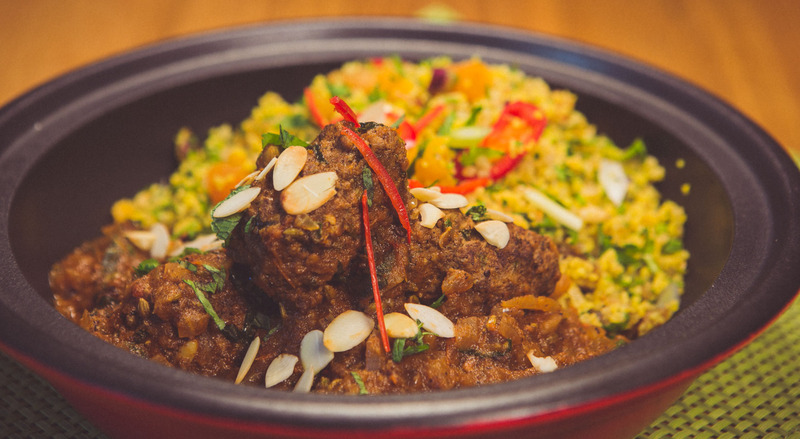 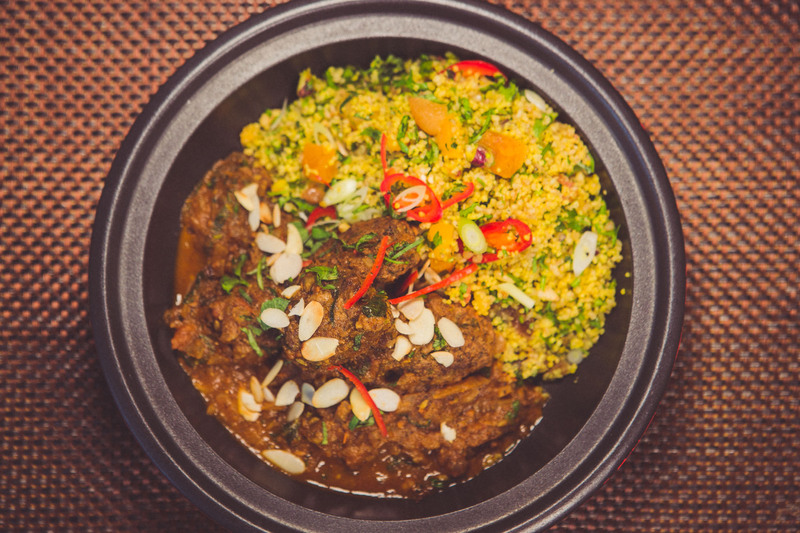 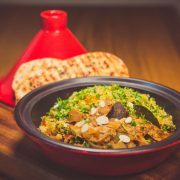 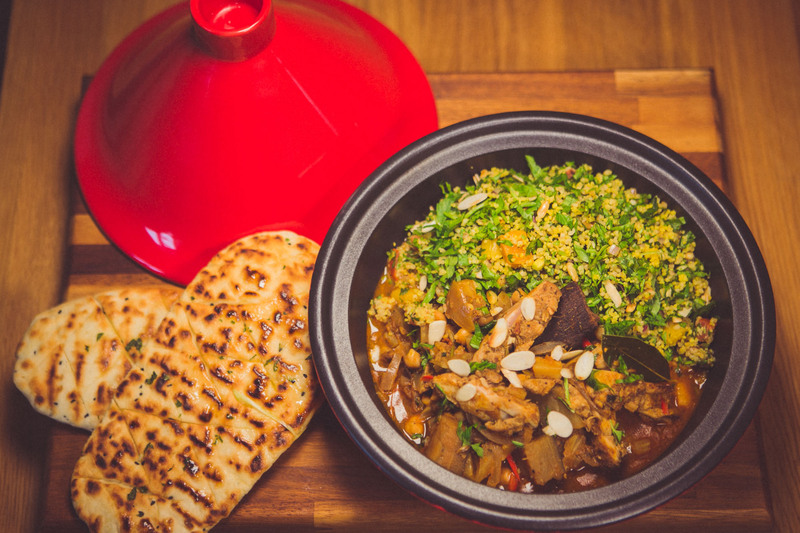 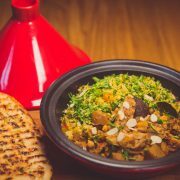 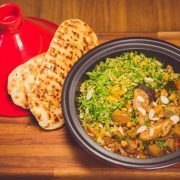 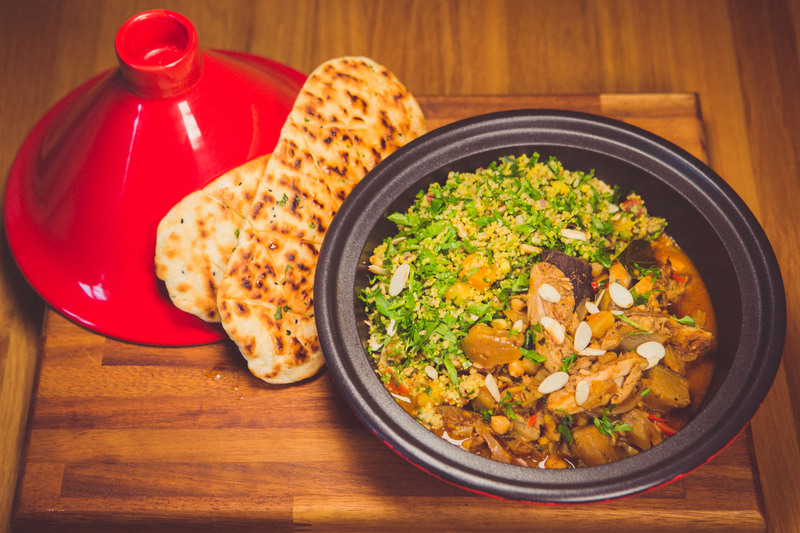 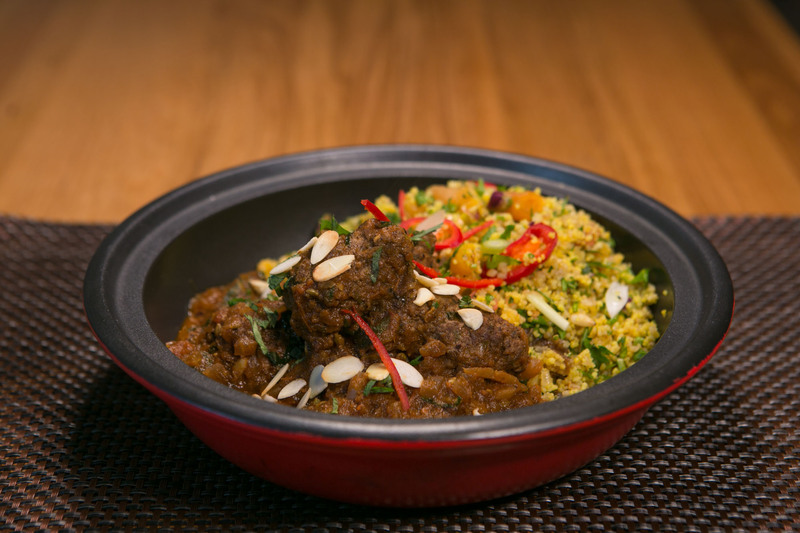 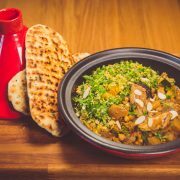 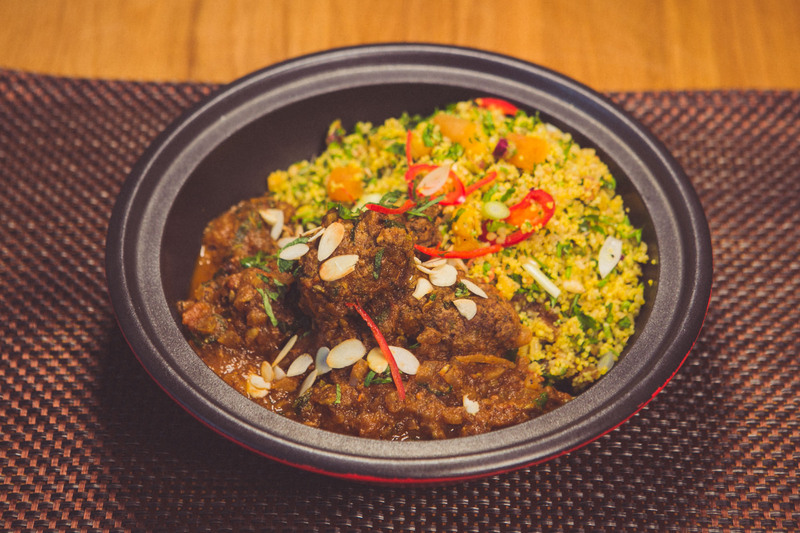 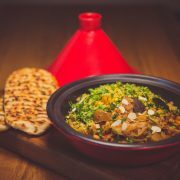 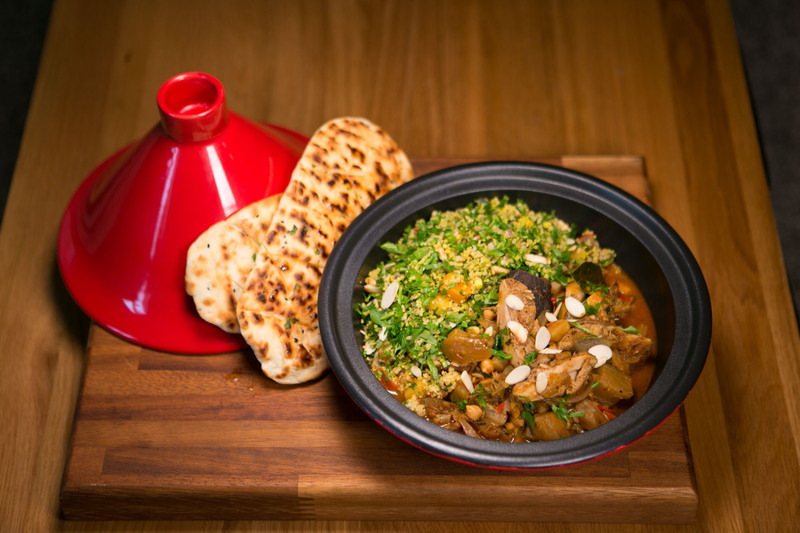 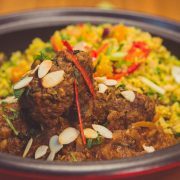 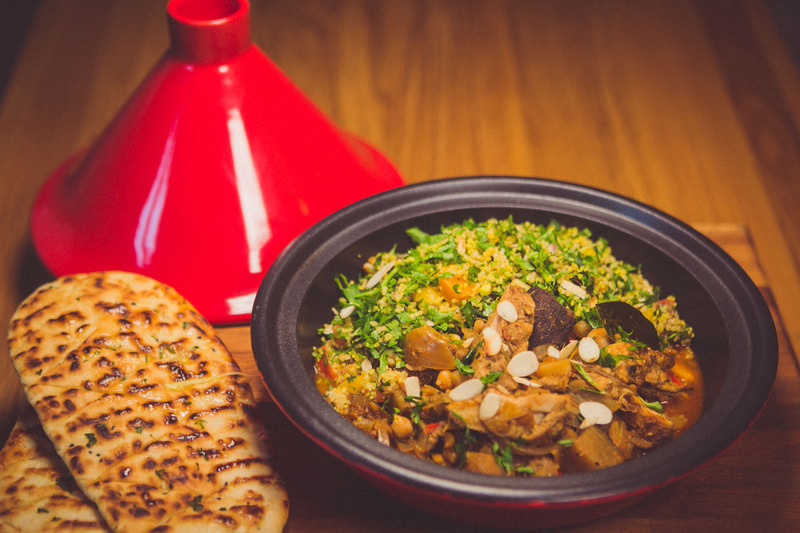 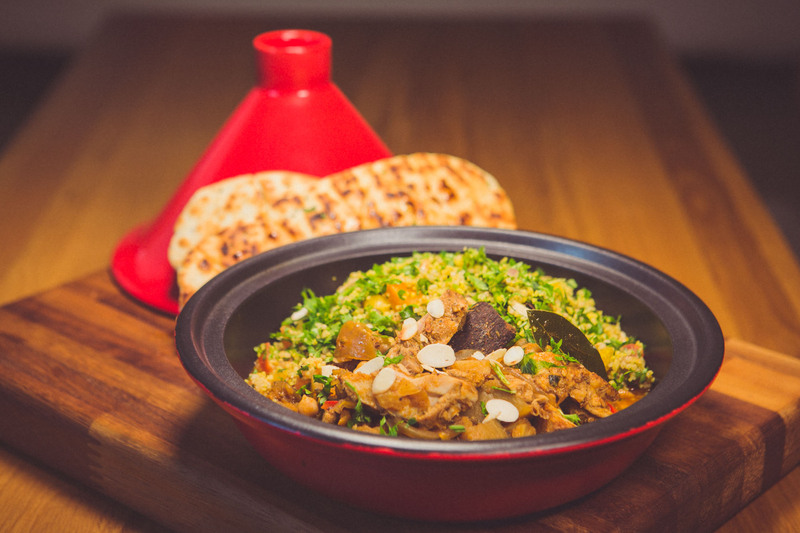 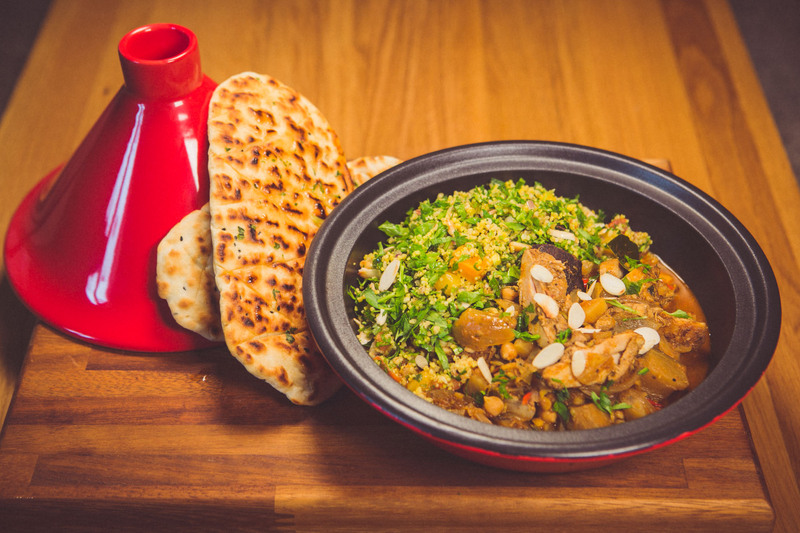 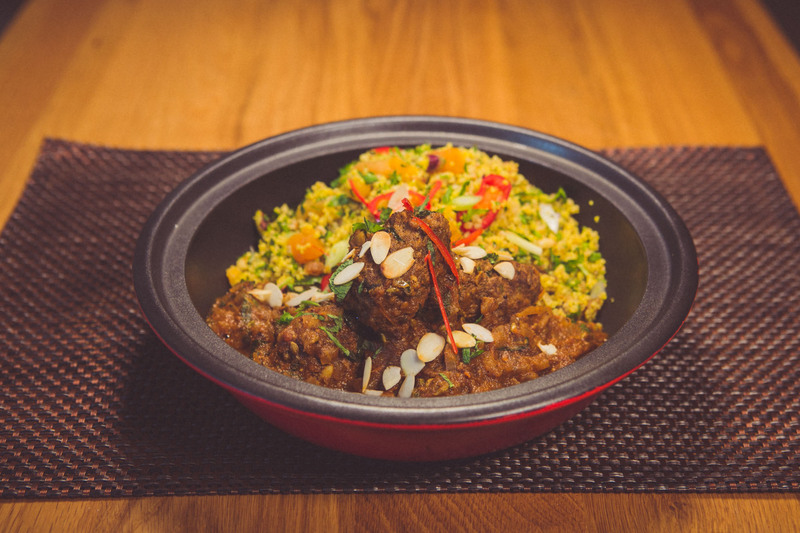 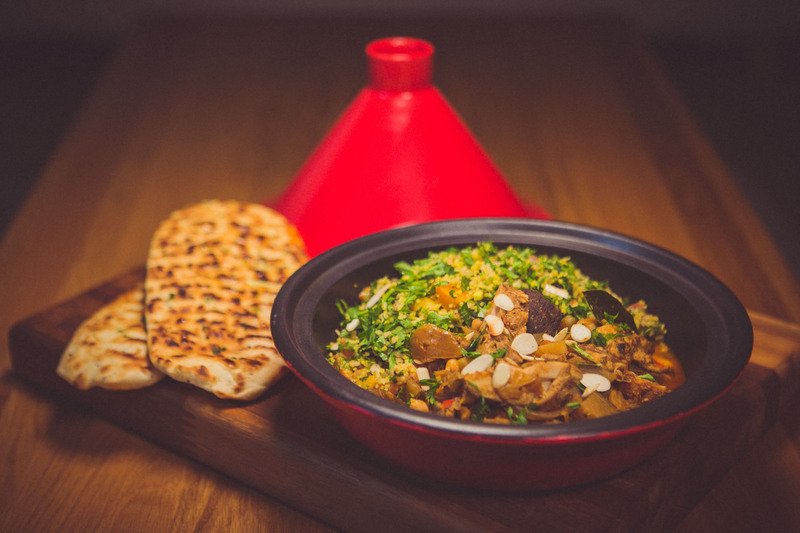 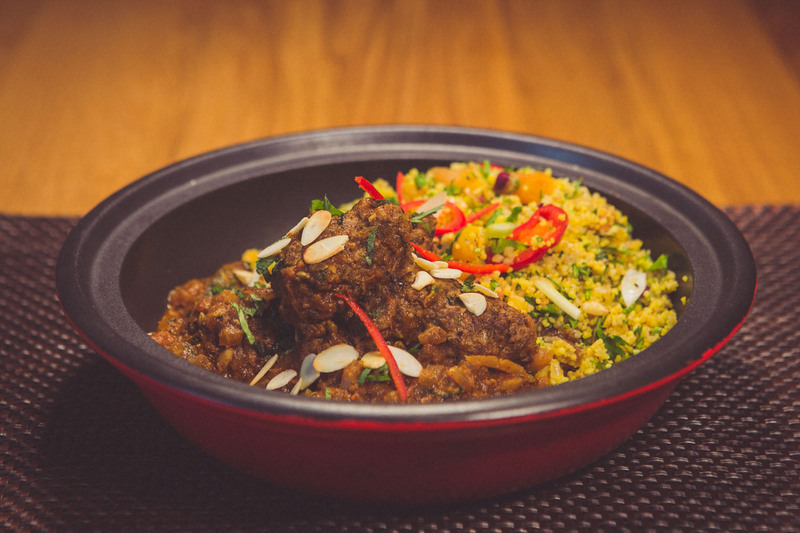 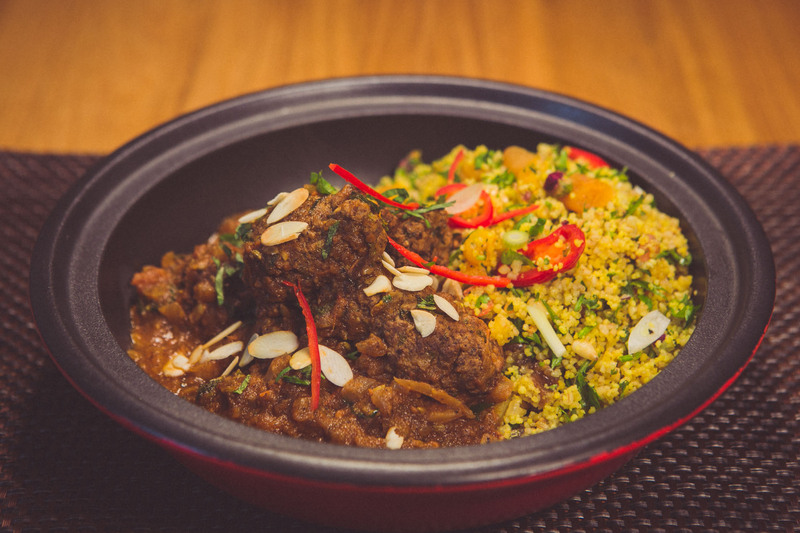 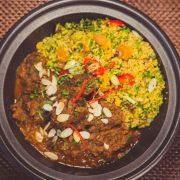 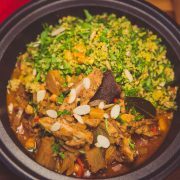 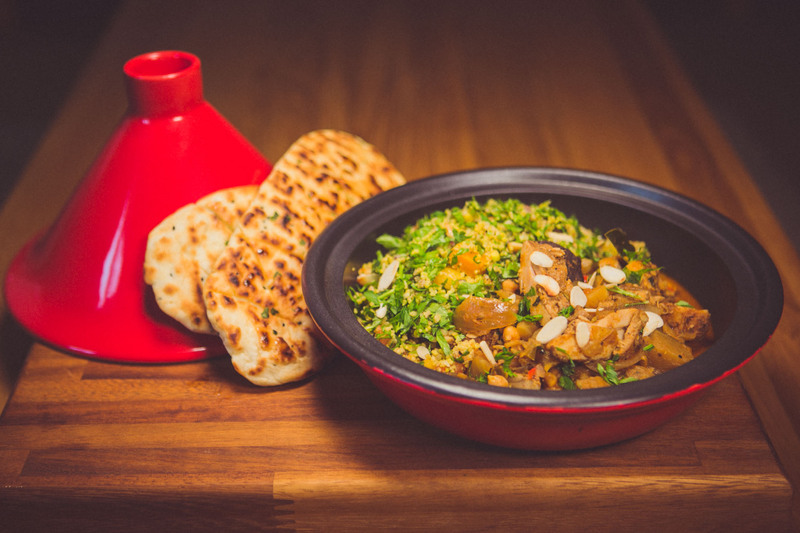 Marinated Chicken Thigh in Chef James Ras el hanout and cooked with light aromatic stew and aubergine and chickpeas served with whole-wheat cous cous and bulgur wheat. 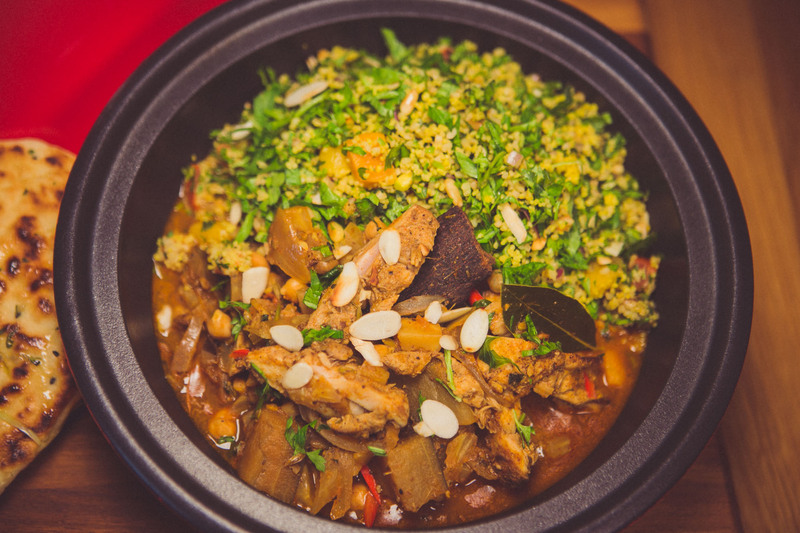 Micro: Place the curry compartment tray in the microwave and cook on full power for 4 minutes. 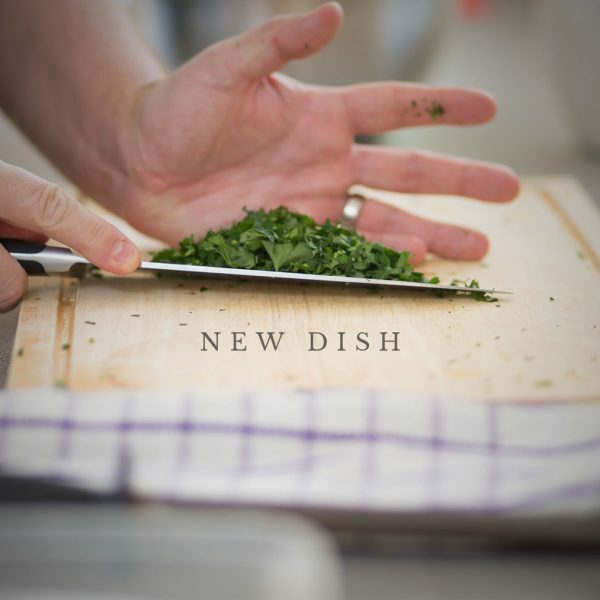 Allow to stand for 30 seconds before serving. 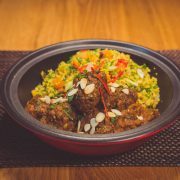 Microwave from Chilled but can also be oven cooked. 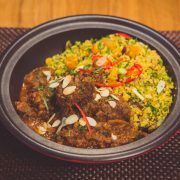 Micro: Place the taigine compartment tray in the microwave and cook on full power for 8 minutes, stirring halfway through. 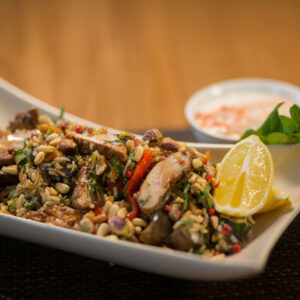 Allow to stand for 30 seconds before serving. 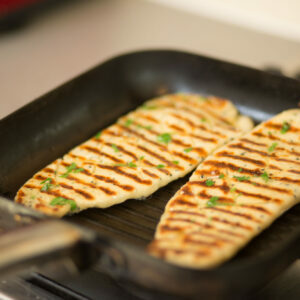 Oven: Pre-heat oven to 190 deg/ Fan 170 deg, Gas mark 5. 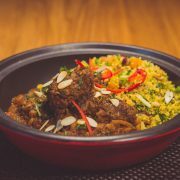 Cook curry tray for 35 minutes. 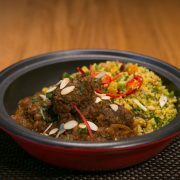 3 minutes from the end of cooking put the cous cous in the microwave and cook for 2 minutes. 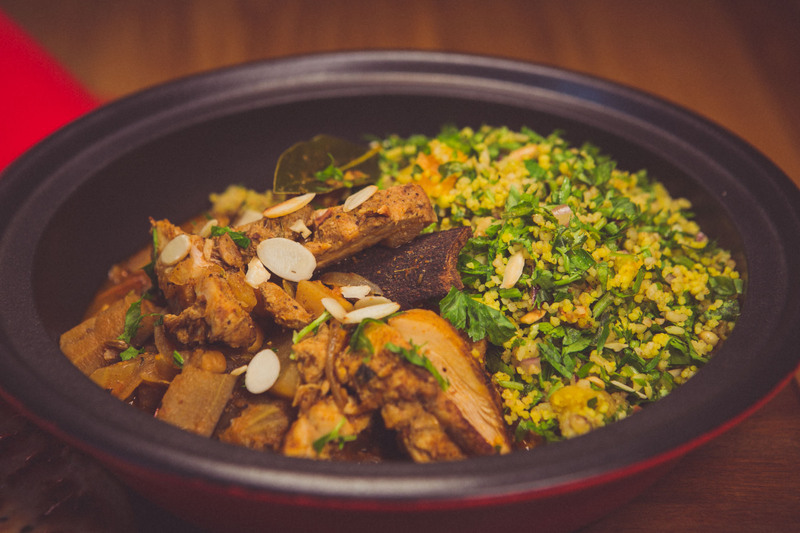 Home / Main / Chicken Taigine with Apricot and Almond Cous Cous.